European Lions were present in Transcaucasia until the 10th century. The peak of their historic range covered all of the plains and foothills of eastern Transcaucasia westward almost to Tbilisi, Georgia. Northwards, its range extended through the eastern Caucasus from the Apsheron Peninsula to the mouth of the Samur River in the current Azerbaijan-Russia border, extending to Araks. From there, the boundary of its range narrowly turned east to Yerevan, with its northern boundary then extending westward to Turkey. After the Racoon, the Mink and the Marten Dog, another exotic carnivore is entering the European Wilderness: the Mountain Lion. The first examples were seen and photographed by hunters this winter in Turkey, but due to the rising temperatures caused by climate change it is expected that they will rapidly expand their territory first into Eastern Europe, especially Ukraine, and from there via the Carpathians into Central Europe following the established Wolf, Golden Jackal, Lynx and Bear corridors. The fantastic news of the return of the Mountain Lion is a great challenge, but at the same time an excellent opportunity to restore the equilibrium between the abundant European herbivores and just returning large carnivores. Gudrun Pflueger, the large carnivore specialist of the European Wilderness Society and Vlado Vancura will travel to Turkey in the next weeks to try to find the first traces of this elusive but interesting animal. Gudrun was involved in several large carnivore projects in Canada and the US. We will keep you updated. Hi Jim, check the calendar! Don’t forget it is the 1st of April!! Interesting stuff Max! Thanks for this. I’m a little confused on what lion we are talking about here and if it has been seen in Turkey or anywhere else. Did anyone get any photographs we could see? This will be an interesting development to watch. Well said Peter Taylor! Hopefully this article will be edited and corrected, so that more people in the future will not be confused. April joke? 😉 No pumas were ever in Europe, but Eurasian lions were. This is amazing news, of course, but the article is also very confusing and I make some suggestions. First, use the Latin names to distinguish ‘lions’. 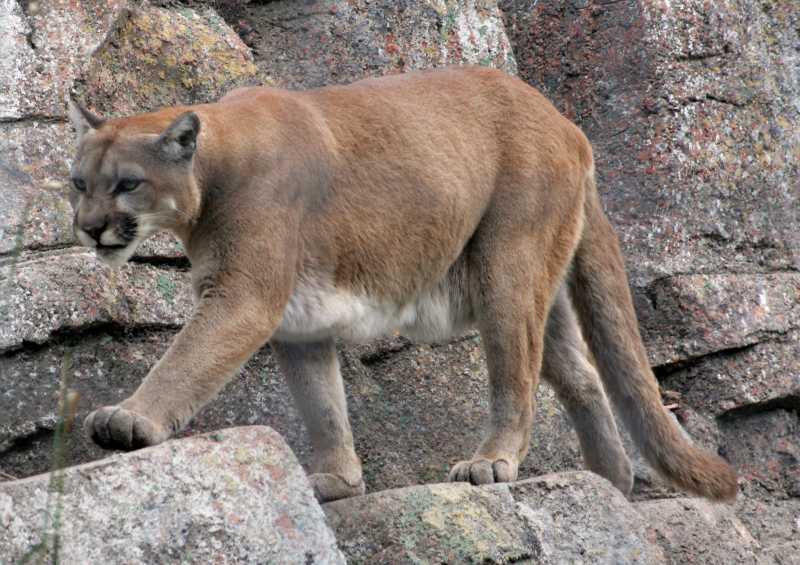 The ‘mountain’ lion of 1000 years ago was the Asiatic sub-species of Panthera leo – the traditionally understood lion (eg of Africa and cave-lion of European fossil history), and the photo you have is of a puma (Felis concolor) which is not closely related and from the Americas only. So – I presume we are dealing with escaped pumas on the mainland of Europe (ie not across the other side of the Bosphorous)? It would help to make this clear. Further, there is a large body of evidence that feral puma and leopard exist in Britain – see my edited volume ‘Rewilding’ – the chapter on big cats!